Thanks to forum member Dutch for finding this news. Do we have any forum members who are skilled with Photoshop or other graphics programs? I'd like to see someone illustrate the Karma station wagon. A business plan that Fisker Automotive has submitted to its financiers at the U.S. government show the startup hybrid car maker is planning to introduce six models over the next three years, including a Karma sports wagon and three versions of its Project Nina, one being an SUV. The News Journal obtained the documents through a freedom-of-information request filed with the federal Department of Energy. DOE funded Fisker with a $529 million loan to work on the two product lines: the Karma, which is just starting to be produced overseas; and the Project Nina, which will be built starting in 2012 at a Newport-area plant formerly owned by General Motors. Under terms of its DOE loan, Fisker is required to keep the government up to date on its plans. Though the documents are heavily redacted with black marker, they do show Fisker planning to build three models in its Karma and Nina lines. Last week was a big one for Fisker, whose CEO was busy showing off the first factory-built Karma sports sedan at the Paris Motor Show. While there, Henrik Fisker also told a Financial Times reporter of the company’s plans to churn out five other models, but the story did not include many details about what they would look like. Fisker did tell the FT that the company intends to only produce plug-in hybrids. Fisker bought GM’s old Boxwood Road plant this summer for $20 million, and has promised to eventually employ 2,500 people here building its cars, either directly or indirectly through suppliers. 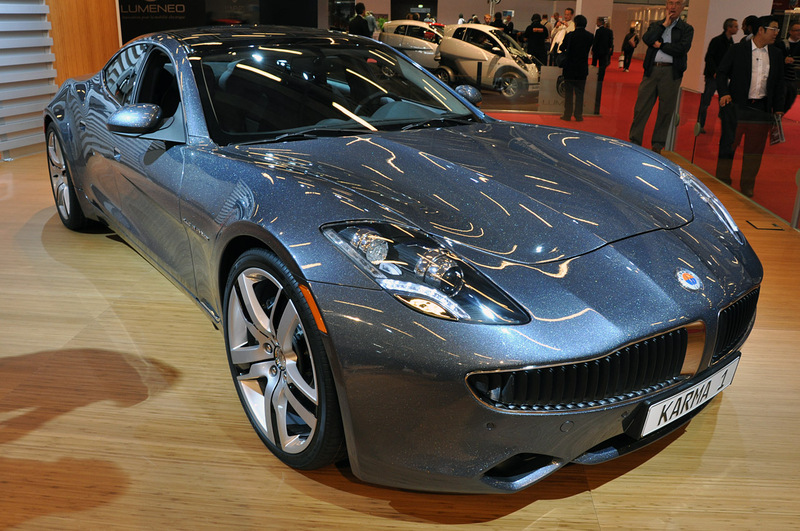 Nina production is slated to begin (though Fisker says the timetable is still adjustable) in the third quarter of 2012. By 2016, Karma production is scheduled to be transferred to the Delaware plant. While in Paris, Fisker also tipped his hand to a possible public offering of the company’s stock. That came as old news here. Ray Lane, chairman of Fisker’s board, told us back in June that the company was planning an IPO once it got the Karma on the road. “Certainly we would plan to sell shares in the public market once the Karma is on the road and we have visibility into the revenue plan,” Lane, a managing partner at venture capital firm Kleiner Perkins Caufield & Byers, said then. Fisker Automotive, a US start-up that is launching a rechargeable hybrid sports car, plans to build five more models by 2016, its chief executive said. Henrik Fisker said the carmaker planned to build two more models based on its Karma plug-in sports car, plus another three mass-market cars at a former General Motors plant in the US. At the Paris motor show Fisker, based in Irvine, California, unveiled its first factory-built Karma roadster, which is made by contract manufacturer Valmet in Finland and will go on sale next March. Fisker is one of two fledgling carmakers exhibiting in Paris that are seeking a first-mover advantage in premium plug-in cars by utilising US government money and cheap manufacturing assets sold after the Detroit industry’s recent crisis. In late 2012, Fisker will in begin production of its mass-market Nina model at a former GM plant in Wilmington, Delaware that it bought for $20m from Motors Liquidation Company, which acquired GM’s “bad” assets after it filed for bankruptcy last year. “It would be $400m if we had to build this plant from scratch,” Mr Fisker said. The company, backed by private investors, has received two low-interest loans worth $529m from a US Department of Energy credit line for low-emission vehicle technology. Tesla, which in June floated on Nasdaq, aims to begin delivering the Model S by mid-2012. Like Fisker, it has received approval for a Department of Energy loan, worth $465m. The two companies face similar challenges as Germany’s big luxury carmakers move towards building luxury electric and hybrid cars. BMW, the industry’s largest premium carmaker, will launch an electric car under a new sub-brand from 2013. Mr Musk said Tesla was aiming to sell only 20,000 cars a year, a small share of the 2m per year global luxury market. #3 looks best. Two other cars come to mind: BMW M Coupe and Maserati Quattroporte Shooting Brake. 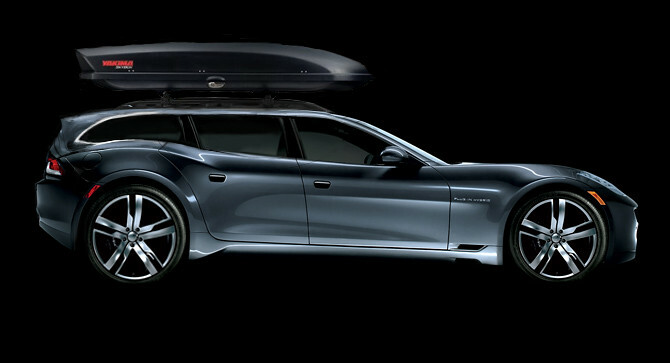 These wagons both have long hoods like the Karma. I am really curious to see what Henrik will come up with. As I am also curious to see the Nina, now that the design has been finalized. But it will, understandably, be kept under wraps for another 1,5 years. Eeek... Neither for me. Looks like a station wagon for pimps. IMHO Fisker shouldve launched with the sedan and wagon. The sedan's utlity is very limited. 2 golf bags means maybe only 1-2 people can go golfing. The trunk is barely big enough for one medium sized luggage bag. It's a turn off at 95k (the same price of a porsche panamera s that has up to 44 cu ft of luggage capacity and quicker 0-60). The wagon would fix a major hurdle for many people. The wagon's roof will also allow for a larger (although more expensive) solar panel array, thereby making the Karma more efficient. I don't think Fisker is going to pay for a new solar panel design, in scaling production to new lines, using as much of the pre-existing parts as possible is the way to keep costs down and profits up. If you are comparing the Fisker with a Porsche Panamera, and are considering a choice between these cars, then I think you are missing the point (no disrespect meant). The Karma is a plug-in electric vehicle, that will get a very high mileage and could do without gas at all, whereas the Porsche is a traditional gas guzzler. If 0-60 is the main selling point and you don't mind sponsoring dictatorial/oppressive regimes like Iran, Libya, Saudi-Arabia and Venezuela with your car, then the Porsche is an option. Otherwise, not. My Karma will be my personal way of boycotting Iran! sorry for the Porsche fans, but if I take a look to a P.Panarema, it seems for me like a squeezed Cayenne, with a very complicated command center .. too many buttons and switches.